Welcome to CME on ReachMD. This activity, Multiple Sclerosis in Pediatric & Pregnant Patients: Challenges in Treatment, is provided in partnership with to TOPEC Global and supported by an independent educational grant from Merck KGaA, Darmstadt, Germany. Your host is Dr. David Weisman. MS is a challenging chronic disease to manage for any healthcare professional, but the most difficult cases we often face involve children and pregnant women. Up to 5% of people diagnosed with MS are under the age of 16. While the peak age of diagnosis for women falls between 20 and 50 years old, that also happens to be the highest fertility window for these patients. Each of these populations present their own unique challenges, so on today’s program we’re going to focus on the best treatment strategies to overcome these issues for pediatric and pregnant MS patients. This is CME on ReachMD. I’m Dr. David Weisman. Joining me to review 2 challenging MS cases are Dr. Ralf Gold and Dr. Lauren Krupp. Doctors, welcome to the program. Hello, Dr. Weisman. It’s a great pleasure to be here. Welcome. Hello, Dr. Weisman. So happy to be here today. Let’s start with pediatric case involving a 7-year-old boy who developed a URI. Two weeks later he became lethargic and developed ataxia and came to the ER where he was afebrile, sleepy and unable to walk unassisted. His blood work is unremarkable. MOG antibody testing was not available. NMO was negative. MRI showed several nonenhancing lesions and a lesion in the cerebellar peduncle. CSF was notable for 10 white blood cells. MRI showed several nonenhancing lesions and a lesion in the cerebellar peduncle. CSF was notable for 10 white blood cells, 95 lymphocytes, protein of 18, glucose at 50, and absent bands. Other blood tests included negative ACE, normal ANA, normal sed rate; viral PCR studies for herpes, enterovirus and arbovirus all negative. MRI of the spine was also normal. He was diagnosed with ADEM, acute disseminated encephalomyelitis, treated and he was followed conservatively. About 2 years later at the age of 9, this patient presented again with new symptoms of double vision, dysarthria, and the return of ataxia. There was no change in the mental status, but new lesions in the brain were identified on MRI, including new enhancing lesions. Most were discrete, and there were 2 new periventricular lesions. The patient was then diagnosed with MS. So let’s pause at this point and review some special considerations in the management for this child with MS. Dr. Krupp, can you first give us an overview of what pharmaceutical options can be used to manage MS in these patients? In terms of the therapies, the treatments include the interferons—so that would include interferon beta 1a, and that can either be in the 30 mcg intramuscular once a week. Among the interferon beta 1a options is subcutaneous interferon beta 1a, 44 mcg 3 times a week, or trade name Rebif, and in all these therapies, dose escalation is appropriate. Another option is interferon beta 1b, which is 250 mcg every other day, glatiramer acetate, either 20 mg daily or 40 mg 3 times a week SQ. The oral therapies have been given to children with good side effect profile and efficacy, but the only one that has gotten in the US FDA approval for children 10 years and over is fingolimod. Other agents that have been used in smaller observational studies, usually single-center but some multicenter, are dimethylfumarate at 240 mg twice a day orally or teriflunomide at 14 mg once daily. The other choice for more potent therapies includes the infusion rituximab—that’s been used off label for adult MS for a number of years—ocrelizumab, which just came to market in 2017, and a study is being planned to look at this agent in the pediatric age group, and natalizumab, which has been evaluated in single and multicenter studies and is highly effective and appropriate to be given with JCV index monitoring in the blood. Now I know the patient’s background. What first-line and escalation strategies would you recommend? Well, with the treatment of pediatric MS, one has the option of going with stronger, more potent therapy right from the beginning or escalating from a less potent therapy, seeing how the patient does, and if there’s breakthrough, escalating to a more effective treatment. In this case he was begun on an interferon, beta 1a, and did very well at 3 and 6 months. At 6 months the MRI showed no new lesions, but at 1 year new lesions consistent with MS were present, and at that point he was switched to natalizumab based on negative JCV status—and initially did well, but again on a follow-up MRI had new lesions again, and at this point was tested for neutralizing antibodies and was found, in fact, to be positive. So with the presence of neutralizing antibodies, he was switched to fingolimod. He did well, but at age 14 essentially had a relapse with left hemiparesis and sensory loss, and at that point the MRI showed again new lesions that were consistent with MS progression. JCV titer remained negative, and he was treated with Solu-Medrol, 1,000 mg IV for 3 days, and what was discovered was that he was not taking his fingolimod. The nonadherence, if we want to focus on that problem, we can make a big difference in the success or failure of our treatment strategies. Is adherence a common challenge in this population? Absolutely. So as many as 40% of kids when asked will say they don’t take their medication. And in other studies the nonadherence is as high as 16% in people on treatment for a year, so the problem wasn’t unique to him. I think it’s an issue that the clinical team has to be very vigilant about. Considering this patient’s history of nonadherence and current status, what are your recommendations for long-term management if he relapses? Dr. Gold, let me direct this question to you. Well, I think Dr. Krupp has done a very fine job so far handling this patient. Compliance and adherence usually improves a little bit with growing age, but I see only 2 options. One of them is to keep this patient long-term again on a B cell-depleting agent. And the other possible point would be to give him immune reset therapy, meaning that you start with the treatment which has to be taken 2 weeks per U for 2 years and then has disease and therapeutic activity for most of the subsequent 4 to 5 years. And here I think about cladribine. in Germany, we have an issue whether the healthcare reimbursement companies or the healthcare providers really agree to off-label therapy. I think this may be similar in the States. I would discuss with insurance whether they would allow me to go on on Rituxan, which is the traditional first drug and which we have experience with them, or whether they want me to switch to ocrelizumab, which is the new labeled treatment, basically hitting the same target cells, namely the B cells. So from a mechanistic standpoint, you could go on with both medications. Then I would also tell him about the new agent—which at least in Europe it’s available right now—cladribine, with a trade name of Mavenclad. And cladribine would be an option as well, because we have 14 days first year where the patient has to swallow and 14 days the second year, and then you have really a long period where if he is usually very stable. This medication is available at least in Europe since around 9 months by now. Both would be an option. With cladribine we have more concerns about parental features. Even if he wants to be a father, then you should have the last sequence, the last cycle of this medication 6 months before because it may cause some damage to the sperm, so you need a free interval of 6 months with cladribine. This is a little bit point and a feature for our young MS patients, both female and male. For those just tuning in, this is CME on ReachMD, and I’m Dr. David Weisman. Today I’m joined by Drs. Ralf Gold and Lauren Krupp and reviewing case histories of MS in special patient populations. Let’s turn to the case of MS in a pregnant woman. Our patient is a 27-year-old, married mother of a 4-year-old boy presenting with optic neuritis and numbness and tingling in her legs. She denies having symptoms previously. However, an MRI shows and old lesion along with 1 new lesion. She’s given a diagnosis of MS and placed on a first-line classic agent, interferon beta 1a, where she also receives education on the injection techniques and possible side effects, scheduled to return to the office, clinical evaluation, and an MRI if deemed necessary. But after 2 months the patient contacts your office. She found out she’s 2 months pregnant. She assumed her fatigue and nausea were associated with the MS, not morning sickness. So now this patient is in her first trimester. She’s been taking interferon beta for 2 months. Dr. Gold, what’s your main concern? Okay. Let’s come back to our case story and fast forward a few months. The baby is born, healthy at term, 6lb 5oz girl, vaginal delivery, no evidence of abnormalities, and now our patient wants to restart her interferon beta therapy, but she also wants to breastfeed. Dr. Gold, what are your thoughts on that? Interferon may enter the milk, and if the young infant is breastfed, then he or she may take it up due to the lack of good gastric barrier, so usually, we recommend these patients in Germany then to stop breastfeeding, to go to some feeding with some industrially prepared milk, supplements, substitutions, and usually, we would then start her on interferon again. I would like to have the young mother as stable as possible because she now has 2 kids, and with 2 kids, you should keep her free from multiple sclerosis,We know that breastfeeding has some positive effect in reducing the frequency of MS relapses, but usually, this is not sufficient. I would recommend her to get her as early as possible on active medication as well. Okay, so in this case the patient does go back on interferon beta and breastfeeds exclusively. Dr. Krupp, in the event of a disease relapse, what would the next step be? So I think at this point I might escalate the therapy to another agent, but first I’d want to find out if she’d be prepared to stop the breastfeeding. most of the benefit to the babies seems to be in the first few months so that we could go to any of the next tier of therapies, either the oral agents or the infusion agents. I would usually, maybe, prefer orals, as Dr. Krupp already mentioned, because the disease course does not seem to be extremely the high active type, but if she is not stable on orals—with young mothers, adherence is usually not a problem—then, of course, the monoclonals would be the next step. I’d like to thank my guests for sharing their thoughts today. Dr. Gold, Dr. Krupp, it was great having you both on the program. Thank you, pleasure to be here. This CME activity has been brought to you in partnership with TOPEC Global. To receive your free CME credit, please visit ReachMD.com/GNA. Thank you for listening. Drs. Gold & Krupp review treatment strategies in two challenging multiple sclerosis cases: a pediatric patient and a pregnant patient. MS is a challenging chronic disease to manage for any healthcare professional, but the most difficult cases we often face involve children and pregnant women. Up to 5% of people diagnosed with MS are under the age of 16. The peak age of diagnosis for women falls between 20 and 50 years old; however, that also happens to be the highest fertility window for these patients. Each of these populations present their own unique challenges, so on today’s program we’re going to focus on the best treatment strategies to overcome these issues for pediatric and pregnant MS patients. This pediatric case involves a 7-year-old boy who develops a URI and two weeks later becomes lethargic, followed by ataxia. He presents at the ER where he was afebrile, sleepy, and unable to walk unassisted. This patient is a 27-year-old, married mother of a 4-year-old boy presenting with optic neuritis, and numbness and tingling in her legs. She’s given a diagnosis of MS and placed on a first-line classic agent, interferon beta-1a. After 2 months, the patient learns she is pregnant. Dr. Weisman has disclosed that he conducts contracted research for Acadia, Avanir, Axovant, Biogen, Biotie, Boeringher, Eli Lilly, Eisai, Genetech, Grunenthal, Janssen, Merck, Pfizer, Novartis, and Roche. Dr. Krupp has disclosed that she is a consultant for Biogen, Everyday Health, Gerson Lehman, RedHill Biopharma, Roche, Sanofi-Aventis, and Shire; an advisory board member for Biogen and Novartis Pharma AG; and receives royalties from AbbVie Pharmaceuticals, Amicus Therapeutics, Atara Biotherapeutics Inc., Biogen, Eisai, ERT Inc., Finkhar Health, IPSOS, Janssen Pharmaceuticals, Merck, Octapharma, Pfizer, Reata Pharma USA, Research Tech, and SA Inventions. Dr. Gold has disclosed that he receives a consulting fee from Biogen, Sanofi, Bayer, TEVA, Roche, Novartis; conducts contracted research with Biogen and Novartis; and owns stock from Roche and Merck. Carole Drexel, PhD has nothing to disclose. John D. Hixson, MD has disclosed that he conducts contracted research for UCB, INC. Integrate safety and adherence considerations, in addition to efficacy, into immediate and longer-term therapeutic decisions for pediatric patients with MS. 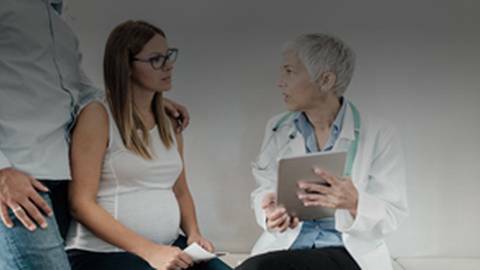 Employ management options to control MS symptoms in pregnant women while reducing the risk of adverse pregnancy outcomes. This activity is designed to meet the educational needs of practicing neurologists, advanced practice nurses, and other healthcare professionals that treat patients with multiple sclerosis. This activity has been planned and implemented in accordance with the accreditation requirements and policies of the Accreditation Council for Continuing Medical Education through the joint providership of The Omnia-Prova Education Collaborative (TOPEC) and Postgraduate Institute for Medicine (PIM). TOPEC is accredited by the ACCME to provide continuing medical education for physicians. The Omnia-Prova Education Collaborative, Inc., designates this enduring material for a maximum of .25 AMA PRA Category 1 Credit™. Physicians should claim only the credit commensurate with the extent of their participation in the activity. In support of improving patient care, this activity has been planned and implemented by the Postgraduate Institute for Medicine and ASiM. Postgraduate Institute for Medicine is jointly accredited by the Accreditation Council for Continuing Medical Education (ACCME), the Accreditation Council for Pharmacy Education (ACPE), and the American Nurses Credentialing Center (ANCC), to provide continuing education for the healthcare team. The maximum number of hours awarded for this Continuing Nursing Education activity is 0.2 contact hours. Designated for 0.1 contact hours of pharmacotherapy credit for Advanced Practice Registered Nurses. The views and opinions expressed in this educational activity are those of the faculty and do not necessarily represent the views of TOPEC, TOPEC Global, and Global Neurology Academy. This presentation is not intended to define an exclusive course of patient management; the participant should use his/her clinical judgment, knowledge, experience and diagnostic skills in applying or adopting for professional use any of the information provided herein. Any procedures, medications, or other courses of diagnosis or treatment discussed or suggested in this activity should not be used by clinicians without evaluation of their patients’ conditions and possible contraindications or dangers in use, review of any applicable manufacturer’s product information, and comparison with recommendations of other authorities. Links to other sites may be provided as additional sources of information. Once you elect to link to a site outside of TOPEC Global and Global Neurology Academy, you are subject to the terms and conditions of use, including copyright and licensing restriction, of that site. Disclaimer: Some products discussed in this activity have not received regulatory approval by the US FDA for the treatment of patients with Multiple Sclerosis. The FDA has stated that “good medical practice and the best interests of the patient require that physicians use legally available drugs, biologics and devices according to their best knowledge and judgement."